Experience a variety of entertaining and educational programs, from classes and hands-on workshops to demonstrations and tastings. See program details below. Some events require advance registration. Interested in spending time in our garden? Learn about garden programs here. To register for any of the adult classes, workshops, and demonstrations listed below, please call 800.448.3883. Join us during this three-month series, where we will discuss classic and new works that illuminate American life or the inner workings of museums. We'll also examine relevant objects from the Winterthur collection or meet staff members who do important work behind-the-scenes. Registration is required by March 4. $30 per Member/ $40 per nonmember for the entire three-month series.Call 800.448.3883 to register. Join Winterthur Flower Coordinator Heidi Militana for this series of hands-on workshops to learn the latest trends in locally sourced cut flowers, to use Winterthur as inspiration for your floral designs, and to learn design tips from the pros. Each session, participants will evaluate the cut-flower gardens, visit select places on the estate, and leave with either a flower design or seeds/plugs. Entire series of 6 workshops: $300 per member; $350 per nonmember; or individual workshops: $60 per Member; $70 per nonmember. Limited capacity of 20 participants; minimum of 10. Registration required. To register for the entire series, call 800.448.3883. To register for individual workshops, register online. Reconnect with your creative side while finding your inspiration in the Winterthur collection. Each meeting features a show-and-tell about different objects in the museum or library and ample time to complete a small project to take home. Members only. $15 per person. Registration required by one week prior to each meeting. Enjoy a behind-the-scenes look at a recent conservation project before creating your own imitation Delft tiles. Explore aspects of hygiene in early America and create your own fragrant bath bombs using natural materials. Learn about Mr. du Pont's floral preferences and work with the head of our floral design program to create your own tiny arrangement. Join us for one of our garden workshops. See the Garden Insider page for dates and topics. 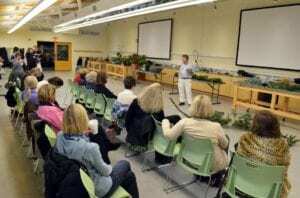 All workshops take place in the Brown Horticulture Learning Center in the Greenhouse Area.